Kurdistan Workers’ Party (PKK) terrorists have been launching organized attacks against the Turkish Armed Forces in the regions within the scope of the Olive Branch and Euphrates Shield operations. The Syrian towns of Nubbol and Zahraa are controlled by Iran-backed Shia militias and are located in northern Syria, near Tell Rifaat. PKK terrorists have built three headquarters in these areas where more than 50,000 civilians live, the majority of whom are Shiite. 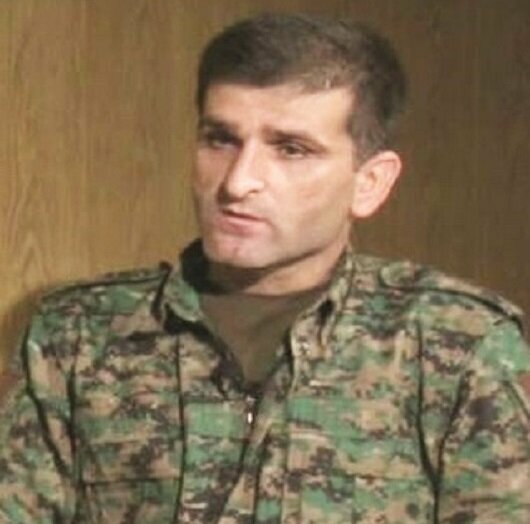 Speaking to Yeni Şafak daily, Syrian commander of the Liwa al-Fatih opposition group, Abu Yahya Qalandar, said that PKK terrorists dressed themselves as Syrian refugees to infiltrate Afrin by using the Ziadiyah-Maryamin route. Stressing the route and tactics of the terrorists, Qalandar stated that PKK terrorists who come from Ayn al-Arab, Ayn Issa and Qamishli first stationed themselves in Manbij and then went to the towns of Nubbol and Zahra to plan attacks where Iran-backed Shia militias have actively have been training them in terror and bomb attacks. “They also have two more headquarters in the towns of Nubbol and Zahra. Iran-backed Shia militias, who are currently protecting PKK terrorists, have also actively supported them against Turkey in Operation Olive Branch. Fifty-five Shia militias who backed PKK terrorists were killed during Turkish airstrikes in Jindaris and Meydanki,” he said. On Jan. 20 Turkey launched Operation Olive Branch to remove YPG/PKK and Daesh terrorists from Afrin. On March 18, Turkish troops and Free Syrian Army members liberated its city center, on the 58th day of the operation. Demining and sweeping activities are ongoing in the region. “The terrorist codenamed ‘Brush Hakesi’ from the Qandil cadre was charged with administrating and planning attacks on Afrin in April. This terrorists are trained by the Syrian intelligence to produce improvised explosive devices (IED), as well as infiltration and designing bomb-laden vehicles. The decisions of attack plans, designated areas, targets and timing have been taken at the PKK’s headquarters in Nubbol and Zahra,” added Qalandar. PKK terrorists have conducted more than 70 attacks and killed a total of 290 civilians in Syria’s northwestern Afrin, which was cleared from terror elements by the Turkish army and Free Syrian Army (FSA). Including Daesh terrorists, the PKK has been plotting attacks by laying mines on the transition routes of convoys, by using bomb-laden trucks in city centers or suicide bombers. “Their primary aim is to target the Turkish army, however they couldn’t get what they wanted so far. On the other hand, unfortunately 14 members of Free Syrian Army lost their lives in the terror attacks,” Qalandar concluded. In its more than 30-year terror campaign against Turkey, the PKK has taken some 40,000 lives, including many women and children. The YPG/PKK is its Syrian branch.